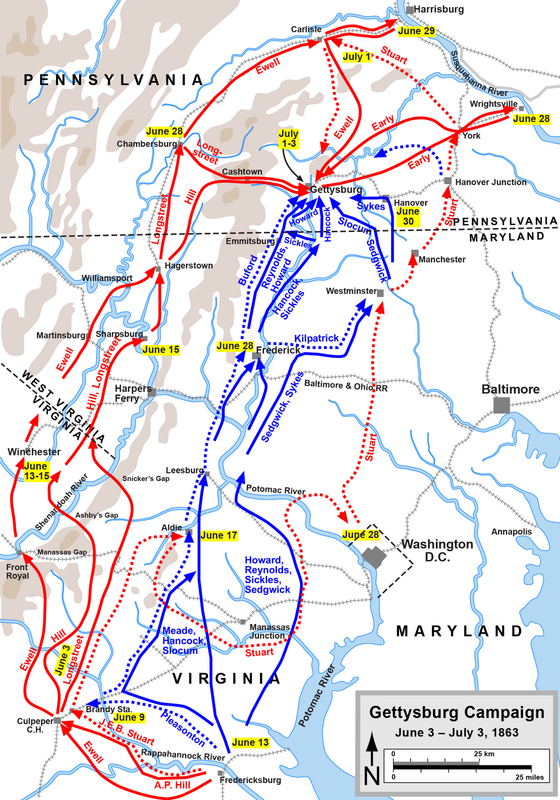 (Wikipedia) Jeb Stuart enjoyed the glory of circumnavigating an enemy army, which he had done on two previous occasions in 1862, during the Peninsula Campaign and at the end of the Maryland Campaign. 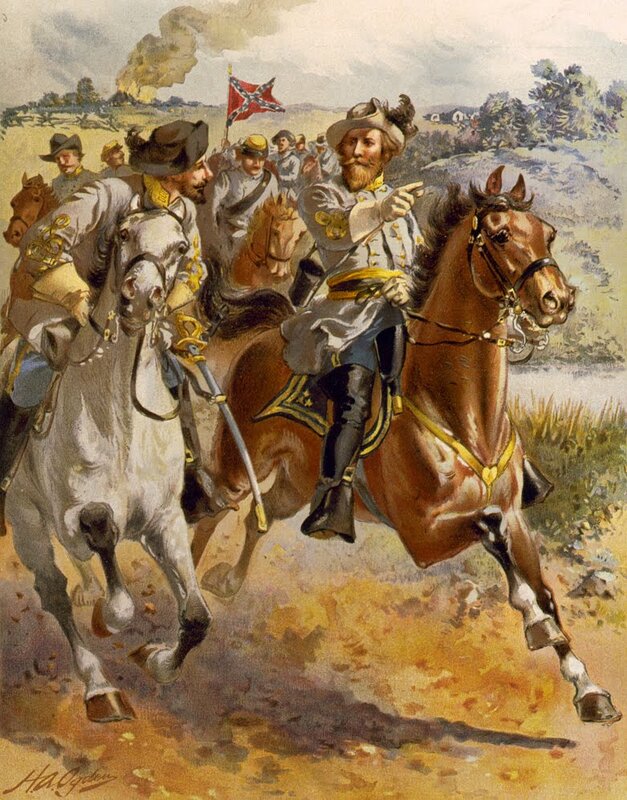 It is possible that he had the same intention when he spoke to Robert E. Lee following the Battle of Upperville. He certainly needed to erase the stain on his reputation represented by his surprise and near defeat at the Battle of Brandy Station. 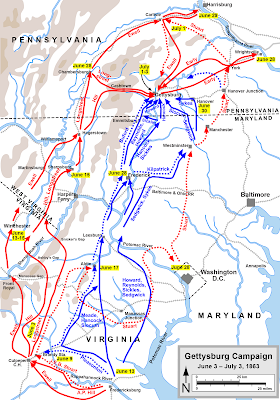 The exact nature of Lee's order to Stuart on June 22 has been argued by the participants and historians ever since, but the essence was that he was instructed to guard the mountain passes with part of his force while the Army of Northern Virginia was still south of the Potomac and that he was to cross the river with the remainder of the army and screen the right flank of Ewell's Second Corps.